Comprehensive messaging is an integral part of practice communication. 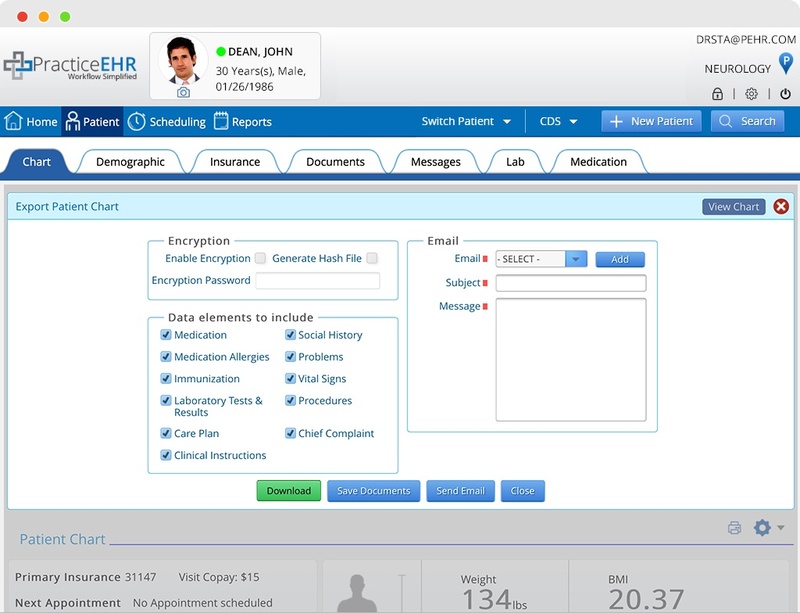 Practice EHR allows you to send secure messages to other providers and to the patients. Dashboard (system homepage) provides a running count of incoming messages. This provides a quick visual indicator of the pending messages. 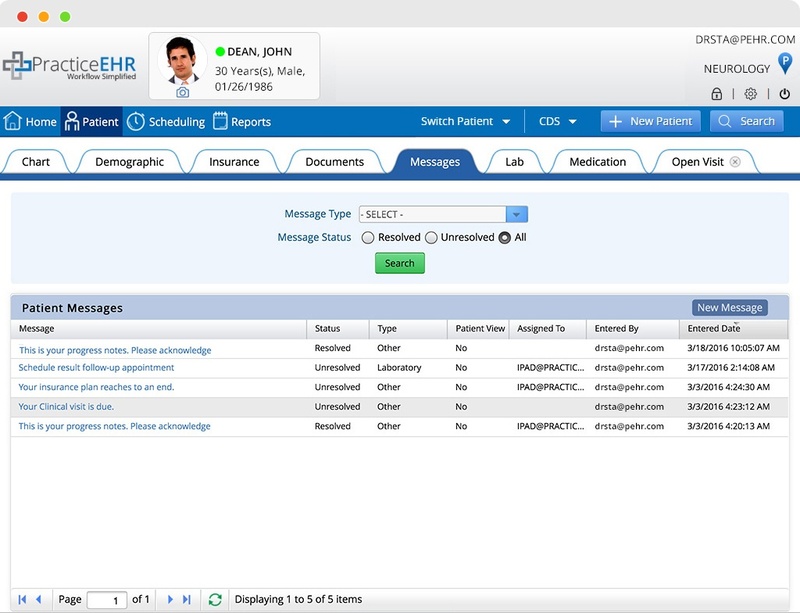 Patients can send and receive secure messages via patient portal. All patient messages are saved as part of patient records. * Additional Cost will be applied for Secure Messaging by datamotion.